Currently the machines deployed through LCS runs with the Account Policy that passwords has a 42 days age. Interestingly you should not change the password for servers deployed according to this statement of guidelines. So if you get annoyed by the reminder to change the password and do not plan to republish the box any time soon, why not go ahead and get rid of the pop up. Click the start button and type in "local". 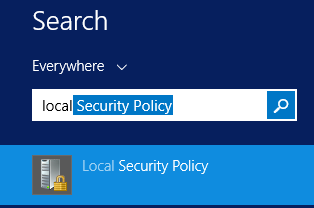 You should find the Local Security Policy Console. From there it is just a matter of changing the expiration of the password to something other than 42, or simply set it to 0 for "never expire". 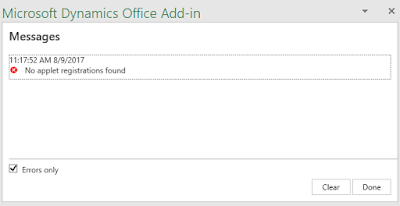 This post is somewhat related to the post by Ievgen (AX MVP) on the Office Word integration not working with Dynamics 365 for Finance and Operations (Enterprise Edition). 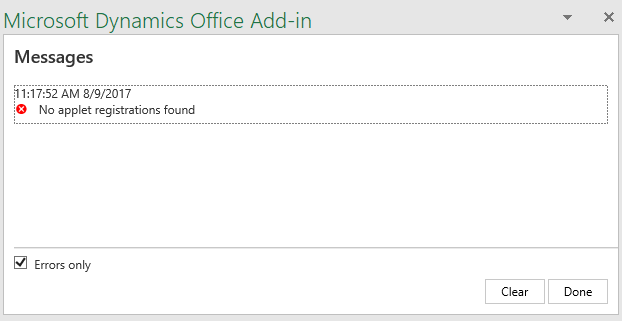 If you try to connect Excel to an existing environment using the Microsoft Dynamics Office Add-in and all you see is the text "Load applets" after signing in, then it might very well be because the applets needs to be initiated from within the environment. If you click the little flag at the bottom right, you will be able to open the messages and see the error "No applet registrations found". If you see an emply grid, then the settings have not been initialized and that is the problem. Most likely you are missing settings for Office apps in general, so go ahead and initialize all parameters for all the grids accordingly. 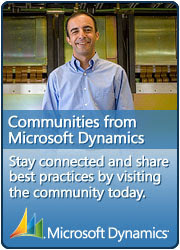 Head back to Excel and try make it reload the applets (simply try add a trailing slash to the url). Hopefully you should get the expected result.